There you go sports fans, thanks again for stopping by, do stop again!! What a beautiful home, beautifully decorated! Thanks for sharing! 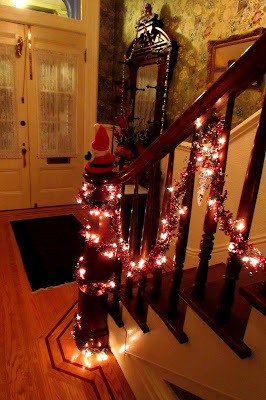 Your friends have a beautiful home and I love how they've decorated for Christmas! 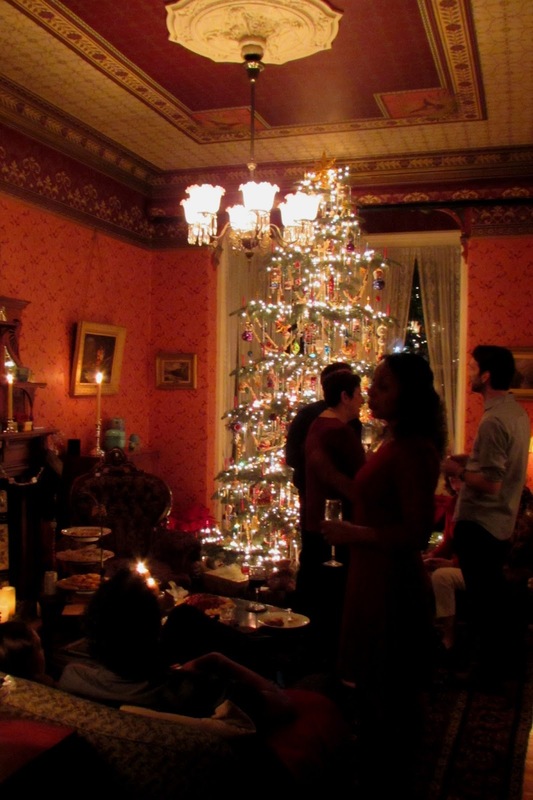 Nothing puts me in the mood for the Holidays like a Victorian house all decorated. Thank you for this years photo, I look forward to this house every year. I love this post. The house is decorated beautifully. Merry Christmas Edgar! Love the photos. Beautiful home and decorated beautifully. Dearest Edgar: What a wonderful time you must have had, what a beautiful home and the decorations are amazing. The tree is so beautiful. Oh my the front of that home is stunning! And the tree! Especially when the candles are lit! Just amazing!!! i kook forward to seeing this every year Edgar! Next year take more pics! I always look forward to seeing the photos from that party! I love the house. 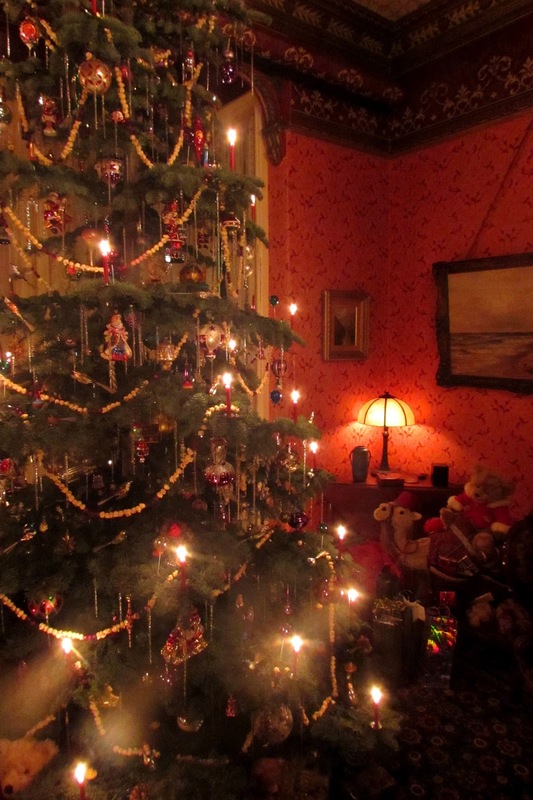 Plus it is decorated so beautifully! 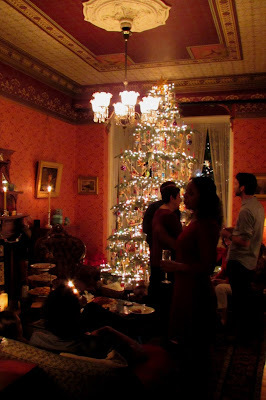 Always love to see their tree in that beautiful home! Thanks, Edgar! Oh wow, that house was MADE for Christmas! How very lovely. I adore the lit wreaths, so pretty! I remember this house! It is beautiful. I would have had a hard time pulling myself away from that table...food looks delicious. 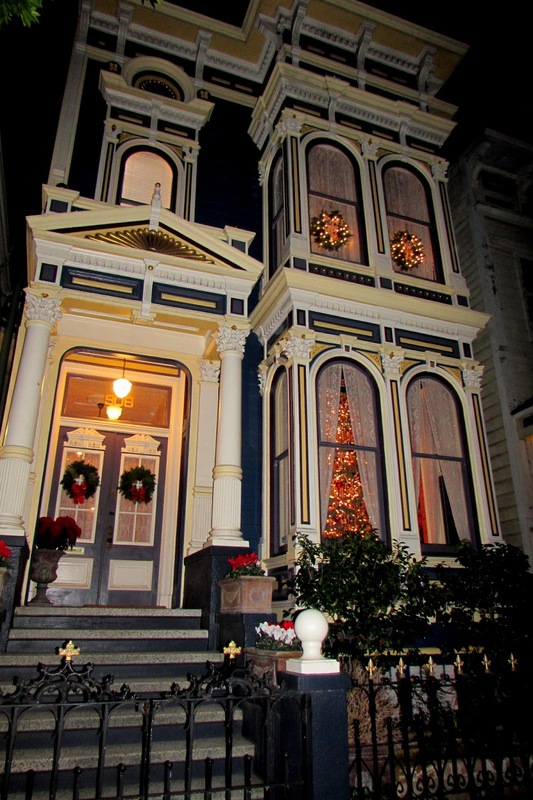 Christmas in SF......sounds wonderful. Always enjoy seeing this wonderful home and the festivities. Merry Christmas to you both. It is certainly a lovely celebration. 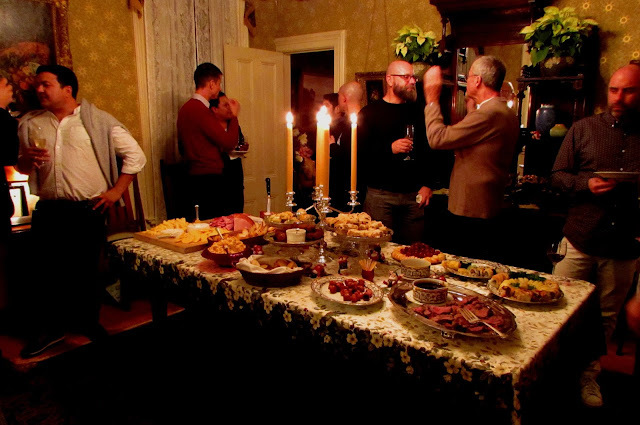 What an elegant party in an elegant home! Such a great event to kick off the Christmas season. I remember this beautiful house from your past posts! What a lovely annual event!! 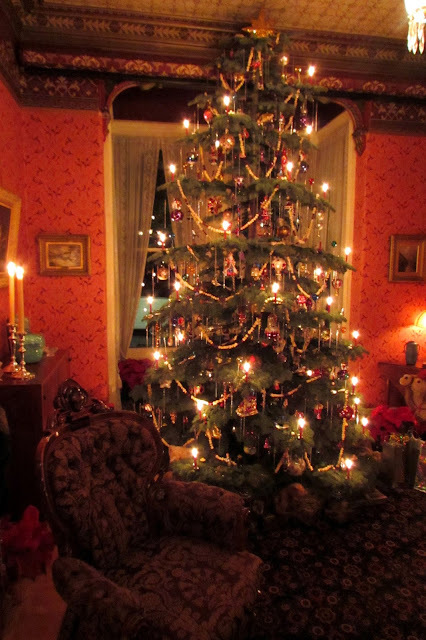 I LOVE the tree with candles--might be scared I'd start a fire! But I'd love to see one lighted with real candles! Thank you for sharing! This home looks magical! Beautiful from the outside and beautiful from the inside. Do they give home tours during the Christmas season? of your & Rico's decorations, especially your stitched ornaments.